Things definitely get plenty deep on this jazz trip – a great run through the 70s catalog of Muse Records, and one that's filled with some incredible bits that we'd rank right up there with the best work of the time on labels like Black Jazz or Strata East! Muse always had a way of really letting its artists do their thing – and you'll heard that clearly on some of the best cuts here – numbers that offer up surprisingly vibrant sides of the artists included, usually with some righteous undertones. 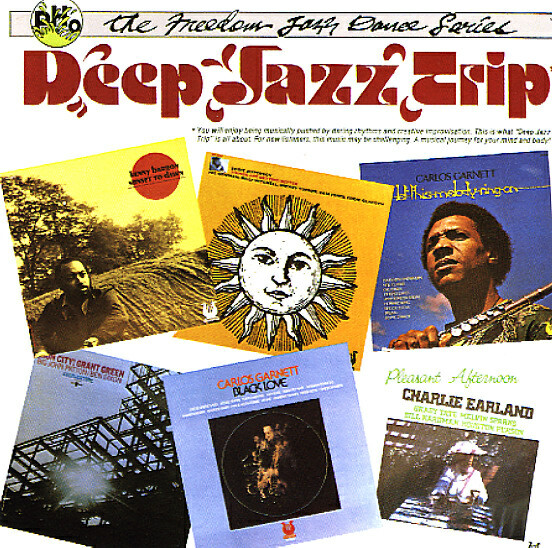 Titles include Eddie Jefferson's rendering of "Freedom Jazz Dance" (and a very crazy one at that), Charles Earland's excellent stormer "Murilley", Kenny Barron's "Swamp Demon", Walter Bishop Jr's "Soul Village", Joao Donato's "Night Tripper", "Old Man Moses" by Grant Green, and three nice ones by Carlos Garnett – "Good Shepherd", "Banks Of The Nile", and "Taurus Woman", from the classic Black Love LP. © 1996-2019, Dusty Groove, Inc.